India is set to elect a rubber stamp President. One of the candidates is going to solve the nation’s problems by putting everyone to sleep. Its election time again, on the 28th June the elections take place, guess who's there to report the details. Some interesting inside information is revealed. Read on to find out more. In the category 'Tales of India' we take a look at the India elections, the candidates and the expenditures in India. Today's entry takes a look at the shocking news of how Tax expenditures in India are being manipulated. By reading this you can have an inside look at the trades of India that contribute to its economy and the legislation's compared to the rest of the world. Hopefully this will give you a better idea of what to expect. 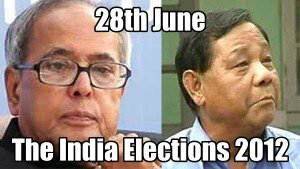 Who do you think will win the President of India? Find out all about the elections the electorate candidates and those who are no longer standing, you can also find out speculative reasons why they flopped out or stepped down. Find out what the sleeping masses don't want you to know about by going over to Stirring trouble Internationally. Matta Hurry from New Delhi spills the beans. You can leave some comments there and be sure to subscribe.